We offer amazing weekly Drumming/Rhythms classes that meet on Tuesdays as well as a monthly gathering at Gilda’s Club (in Palm Desert, CA) for those living with cancer. This is a joyful and powerful time of learning, connection and sharing! 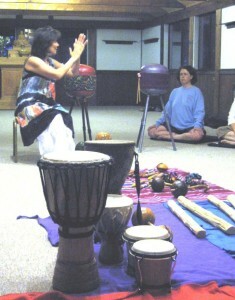 Facilitated by Remo trained Health Rhythms facilitator. The Circle of Words is an opportunity for creative expression to unfold by utilizing writing and the blending of the arts. Diane “Annie” Mathias, MA is a seasoned professional who teaches with gentle guidance and great wisdom. Her emphasis is empowering her participants to discover their “own voices” on the page. Annie’s classes are not a typical creative writing endeavor; these sessions present an opportunity to grow, explore and create in a safe yet powerful setting. 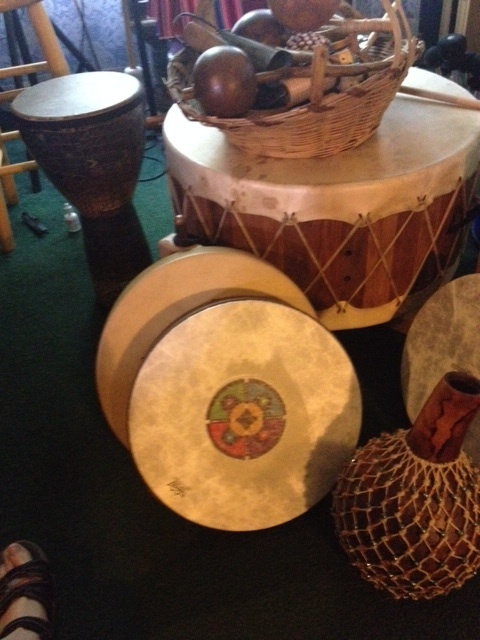 Pathways to mediation and relaxation can be greatly enhanced by vibratory sound. We offer “Sound Workshops” to allow participants to personally experience the entering into a place of peaceful depth in a safe environment. Quartz crystal bowls are an amazing vibrational healing modality. 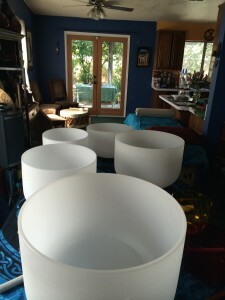 These bowls, which come in a variety of sizes and keys, are used to balance and harmonize the body, mind and spirit. Annie Mathias’ session with her deep resounding bowls create a relaxed calming, cleansing, and deepening meditation practices. 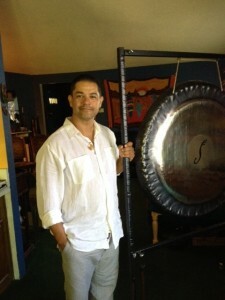 Symphonic Gong sessions create an environment for healing, relaxation and deep transformation. We offer small group sessions led by gong master Sotero Bernal. These are times that are both safe and extraordinary as the unfurling of harmonious sound fills our entire being. Discussion follows each session. 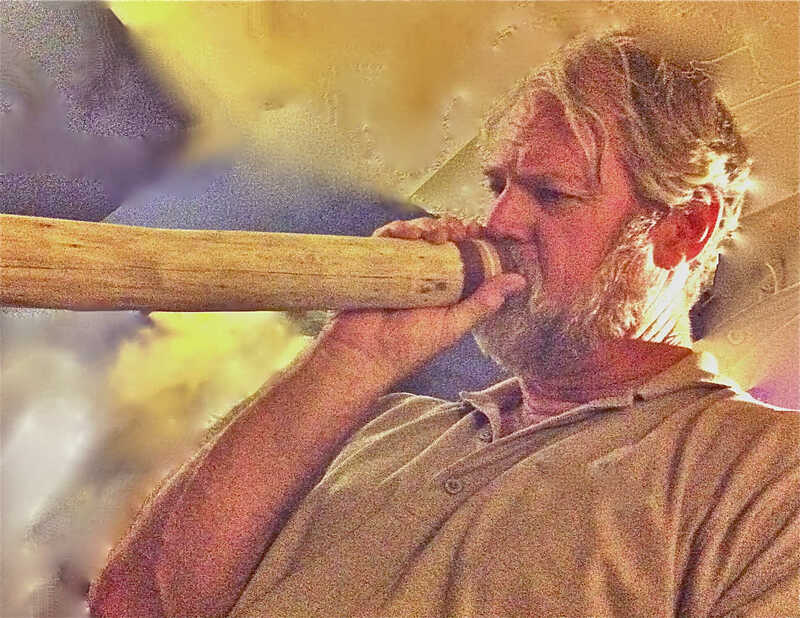 Didgeridoo, Voice and Indigenous Instruments create the powerful pallet of sound used by sound expert Al Hollinger. Hollinger’s work is sought after by a variety of people groups, identifying him as a gifted facilitator. 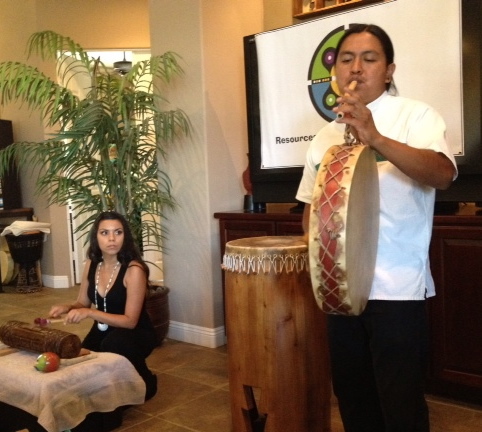 Interactive sound work for groups is a fabulous presentation for retreats and groups. We provide all the instruments, it’s an experiential time to utilize many instruments with great success and team accomplishment. 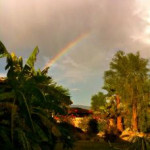 Mathias’ work includes mindful retreats, senior groups and special needs groups. Mathias is sought after as a professional speaker for bereavement groups, cancer support groups, holistic nurses, caregivers and arts in healthcare professionals. With decades of expertise, her creative, interactive presentations teach with insight and inspiration. Whether we are creating drums that sound like the ocean waves or intertwining grape vines to create our own beautiful holiday wreathes, the making of magic begins with the individual. Each workshop is an opportunity to grow, delight and create a masterpiece in a supportive environment. In a recent drum making workshop we created hand made drums that generates the soothing sound of ocean waves. 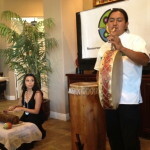 Instructor Nash Tavewa of the Zapotec people has dedicated his life to preserving not only the art of making musical instruments but also his language, culture and traditions of his people. 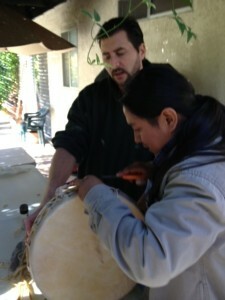 Every participant created their own drum. 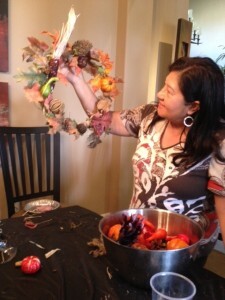 Cutting grapevines directly from the vines, we learned how to create these wreaths, then each one was individually decorated according to personal taste. An afternoon of stress free, creative work brings people of all ages together in moments of beauty. 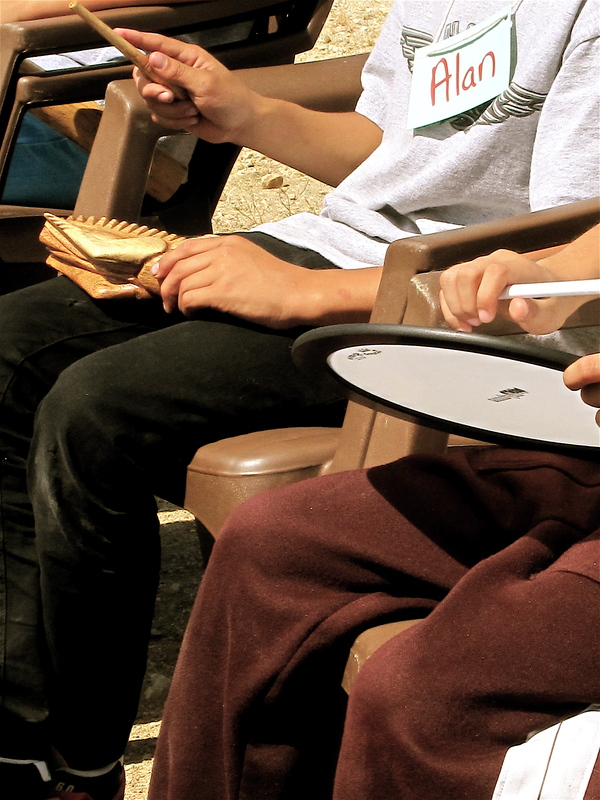 In classrooms and interactive environments, our team brings the creative arts to youth of all ages. Our interactive work teaches, inspires and allows perception of the arts to extend beyond the everyday. We work with mainstream as well as those with special needs. Recommendations available upon request. 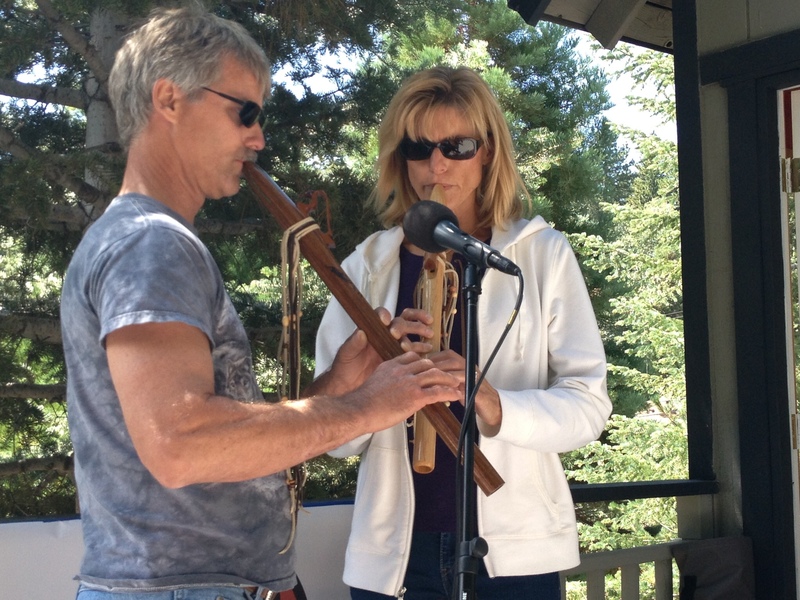 We come together to play music in a rustic cabin setting in Running Springs, Ca. Each year we gather, sharing a home cooked meal and then entering into a musical wonderland…diverse music is shared and enjoyed. 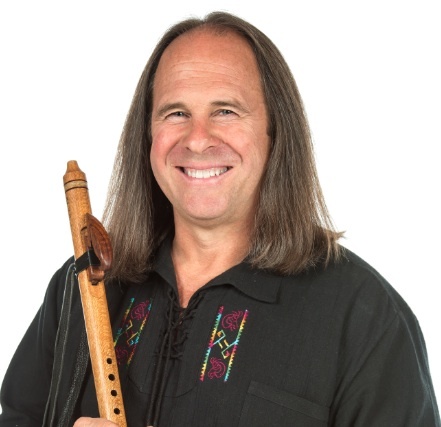 This is an annual fundraiser which has become a greatly anticipated event in the beauty of mountain and music. 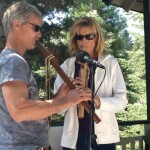 Bring an instrument or sit back to enjoy the collective music. Please visit our events page or contact us for further details and to reserve your spot. Nash Tavewa belongs to the Bene Walash (Zapotec) culture, north of Oaxaca, Mexico. His people’s culture of art, music, language and dance have been passed down from generation to generation. 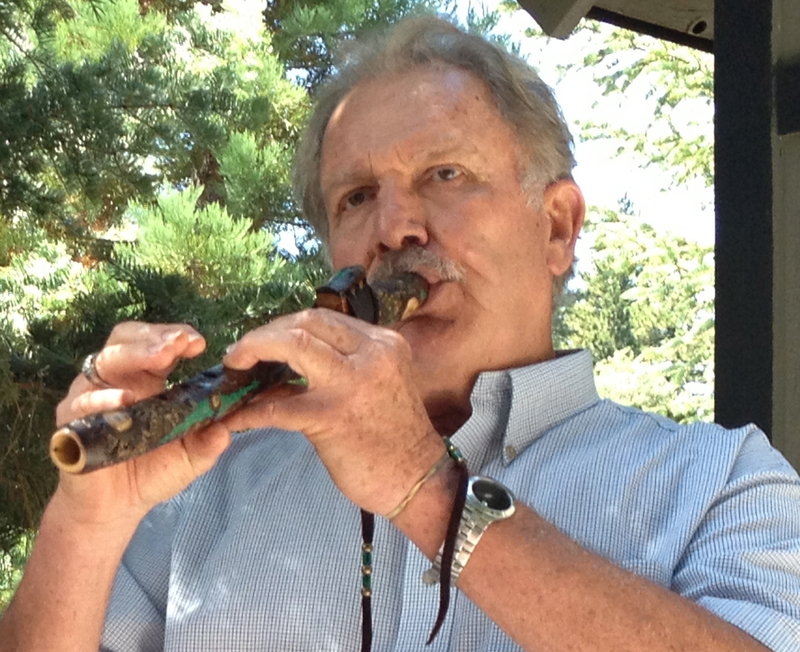 Surrounded by family artists and musicians, he learned the art of making and playing flutes. 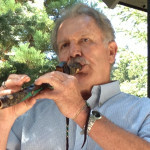 Nash has dedicated his life to preserving not only the art of making musical instruments but also the ancient pre-Spanish traditions, language and culture of his people. Our Writers’ Symposium is the presentation of original work by our writers. 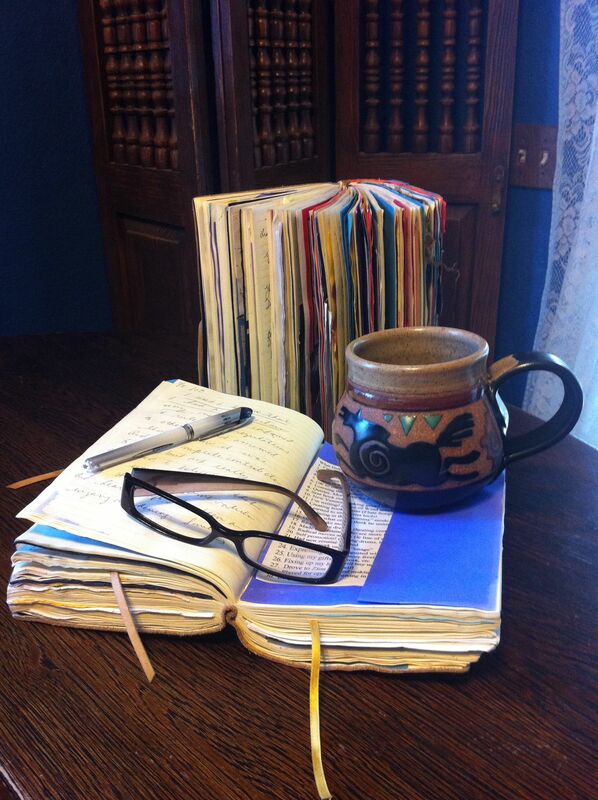 During this time, writers accompany his/her original work with their own art or music, sometimes dramatic readings. Each symposium offers stunning and original work. Featured photo courtesy of Barbara Hochberg.